Saraveza Bottle Shop & Pasty Tavern is a place to celebrate craft beer, eat well & enjoy friends & strangers alike. 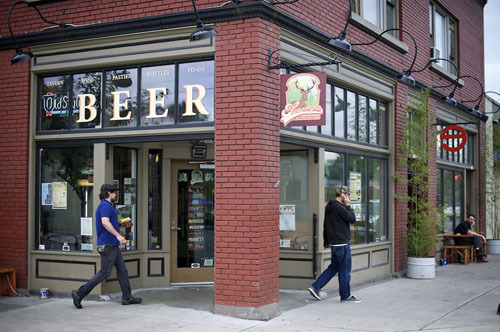 We’re a North PDX watering hole & craft beer convenience store w/ 250+ bottles & 9 rotating taps. We make our pasties w/ fresh, local ingredients & love. 05/14/2013 Summer BBQ with Fal Allen of Anderson Valley Brewing Co.